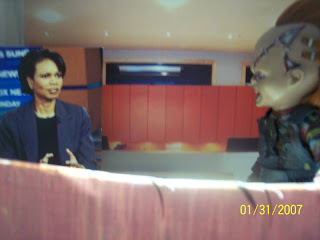 Condi thanks for taking time out and joining us on the ChuckyNewsChannel. So had did you feel when good ol Joe Biden called Obama the first main stream African American that's articulate and clean as well as good looking? I could have just chocked him Chucky I'm clean and articulate could you imagine if Rush Limbaugh had said that?